The movie soundtrack of Hop will be released on April 5, 2011. Where’s I Want Candy? That is the only song I really wanted and it isn’t there! 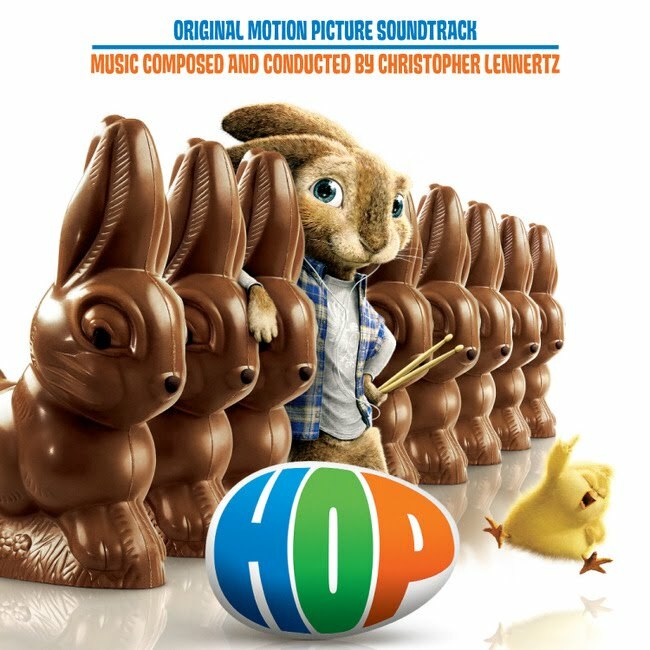 Please be aware that the official soundtrack to HOP includes only the instrumental songs and none of the songs with lyrics. Although the musical score is very nice, it was very disappointing to discover that Dynamite, Higher Ground and I Want Candy and other songs with lyrics were not included. what was the name of the on where they were working out. Pitbull sings I Speak No Americano. It’s huge in Punta Cana right now. Does anybody know the name of the song that plays when they’re at the diner? it sounds like an old song, or maybe it was just made for the movie. oddly, i feel like i’ve heard it before. what’s the name of the song that E.B. plays along to on drums before his speech? The song that EB plays at the interview is one of the most famous songs ever. It’s Stevie Wonder’s “Higher Ground”. The version in the movie is with the Blind Boys of Alabama, who had already released their cover of it in 2002. Does anyone knows the song that the little chic is dancing to? It is on the radio all the time. I wanna know the name of the song that plays when the guy is trying to get in shape to become the Easter bunny … ?